On Sunday, October 21, on the center court of the «Olympiskiy» stadium the final match of the men’s doubles of «VTB Kremlin Cup 2018» was held. In a tough and intense match, the pair of Americans Austin Krajicek and Rajeev Ram outplayed the defending champions Max Mirnyi and Philipp Oswald 7/6 (7-4), 6/4. Throughout the match the spectators witnessed an even fight. In the first set tie-breaker the Americans were up 3-0, however Mirnyi and Oswald won back three points in a row, but it didn’t help them to make a mini-break to win the tie-break. In the second part of the match the Americans managed to convert the second break-point and led the match to victory. With Oswald serving at 4/5, 40:40 the deciding point also became teh match-point. Oswald made am error on his volley, and the duo Ram/Krajicek started celebrating the victory. «You are a strong team. You have performed well here, I hope that you will have many good results in the future», said Philip Oswald at the award ceremony, addressing the champions. – «We have been playing with Max for almost a year, and today was our last match. My wife wrote to me in the morning that I must not regret our separation, but smiled at the end of our last match». 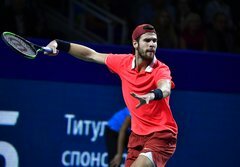 Max Mirnyi complained that he lost his first final at «VTB Kremlin Cup», thanked the sponsors, the organizers and added that, despite the fact that today they lost with Philip, he was still happy to play in the final on the center court of the «Olympiyskiy» stadium where the tournament is held for the last time. The President of the Russian Tennis Federation, Shamil Tarpishchev, in his speech on the court, drew the attention of the audience to the fact that both duos had an Olympic champion and wished Maxim Mirnyi to perform at the next Olympics. 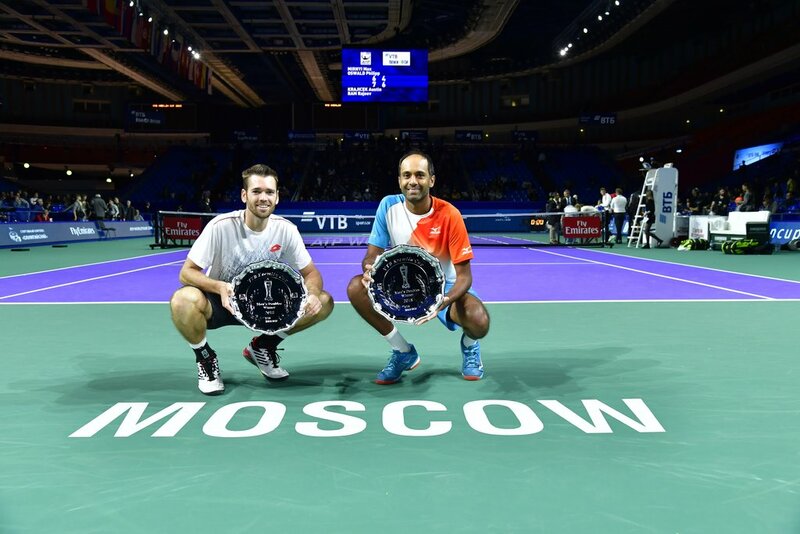 Rajiv Ram congratulated his partner Austin Krajicek on his first doubles title. «This is always a special moment in every tennis player’s career», Ram said. He also found warm words for his rivals, paying attention to Max Mirniy's incredible career in doubles and praised the talent of the still young Philip Oswald.